1. As it turns out, Florida's famed fountain of youth is at Ryan Fitzpatrick's house. Can you believe that lunkheads like Vince Young were mocking Fitzpatrick just a year ago? One more win, and Dirk Koetter has no choice: Jameis Winston stays on the bench. (A bad performance or an injury could change things). 2. The Bucs have a desperate problem running the ball, which makes the terrible performance by Ronald Jones even more disappointing. Peyton Barber ran 16 times for 22 yards, Doug Martin-type numbers. Jacquizz Rodgers ran five times for 13 yards. Maybe it's time to sit Rodgers and bring up Jones. 3. Do we need to send flowers to the Uber driver for getting Winston suspended? 4. Did you see the big names that Fitzpatrick now ranks with as far as early season records? Dan Marino, Tom Brady, Peyton Manning, Joe Namath, Drew Bledsoe and Aaron Rodgers. It's enough to make a man dizzy. Just wondering: How many games might the Bucs have won last year if they stick with Fitzpatrick after his three-game run? 5. Say this for Chandler Catanzaro. He keeps games exciting. If he makes a kick against the Saints the game is over. If he makes one against the Eagles, a tie is assured. (On what Fitzpatrick is like off the field): “He’s a fun guy to be around. Fitz is a fun guy to be around. Most of your team is in their early twenties and Fitz is older, but he relates to everybody. He relates to the young players, he relates to the old players, he relates to the coaches. He’s just got an easy manner about him. He’s witty, he’s quick to make you laugh, he’s sharp. He makes everybody feel comfortable and that’s just one thing. Also, right now, he’s backing it up with his play." 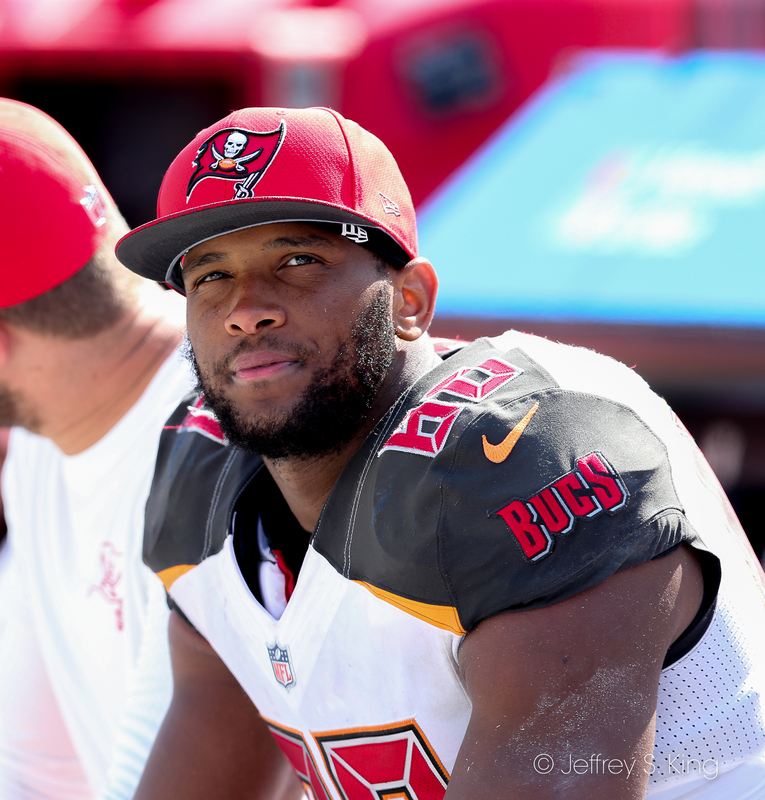 (On Noah Spence, who has been inactive): “Any time we don’t have a guy active — we talked about this last week with Ronald Jones – that doesn’t mean we’re down on him. It doesn’t mean [they’ve] regressed. It means, ‘Ok, you can get 46 guys on game day and we’ve got to get the 46 that we think give us the best chance to win that game,’ — special teams has to factor into it. If you have five defensive ends up on game day, just like five wide receivers — four and five got to play on special teams. There’s not enough guys if you don’t do it that way. (On if the new members of the defensive line have helped): "There’s no question at all about that. We talked about that a week or so ago. We wanted to have a harder training camp. We tried to make it a harder training camp, but the defensive line set the tempo for that. Then the offensive line had to adjust or get crushed and that’s not going to happen. George (Warhop) isn’t going to let the O-line get crushed and ‘Buck’ (Brenston Buckner) isn’t going to let the D-line get crushed, so that definitely happened. That helped our team in more ways than one." "The Eagles gave up a pair of nine-yard runs to Shaun Wilson and Peyton Barber on the Bucs' first two rushing attempts, then shut the door, holding them to 25 yards on 21 carries the rest of the game. The Eagles allowed just one rushing first down. 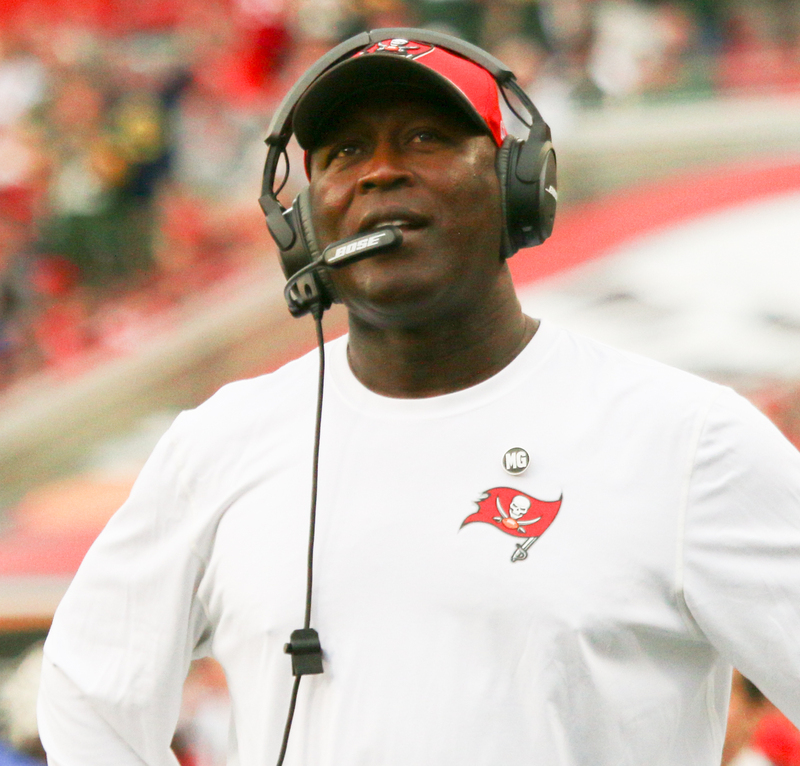 Ten of the Bucs' rushing attempts gained zero or negative yards." "Sunday's loss to the Bucs was not one of them. The Eagles were outplayed by an opponent they were favored to beat. They were not the better team, which is a sobering reality considering the Eagles had extended rest and Tampa Bay was missing key players, too. (Then again, Ryan Fitzpatrick is on the hot streak of his life.) But my guess is come December, this game will be viewed as an anomaly during the season. The Eagles are going to be a better team than the version that played in Tampa." "There was no way to ease into it. This was not a good game for the Eagles' secondary. Yes, the offense had its struggles. The injury to Jason Peters had an impact. The quarterback situation should improve dramatically if Carson Wentz does indeed return this week. But the most conspicuous aspect of the Eagles' 27-21 loss at Raymond James Stadium was the extent to which the Buccaneers' pass catchers dictated play. After it was over, you could hear the acknowledgment in the voices of the defensive backs as they confronted the reality of what had happened: four Tampa Bay players with at least 50 yards receiving, three with at least 80, two 75-yard touchdown receptions, one of them by DeSean Jackson on the first play of the game." "In 6 games against his former team, Jackson now has 23 catches for 569 yards (24.7 yards per catch) and 3 TDs. The Eagles are now 1-5 when they have had to face him. It still blows my mind that Chip Kelly cut him, for nothing, after a season in which he had 1,332 yards and 9 TDs, because he didn't like him. I wonder what Chip is up to now..."
Offense: You could give the award to a lot of different receivers, but let's be honest. This was Ryan Fitzpatrick's day. In the best sequel since the Godfather II, Fitzpatrick carved up the world champions and has them eager to bench Nick Foles. Defense: Cornerback Ryan Smith isn't a regular winner of this award, but he had seven defensive tackles (plus two on special teams) for the Bucs on Sunday. For a change there were candidates. Special teams: Punter Bryan Anger isn't needed as much when you consider the offensive. But he's still a weapon. Anger averaged 43.3 yards on six punts, and he nailed two inside the 20. Quarterback: In about 40 years or so, Ryan Fitzpatrick is going to grow into a fine quarterback. Oh, he'll do now, of course. He has guided two of the biggest upsets in team history, and he's thrown for more than 800 yards while doing it. His agent should get busy pitching vitamins. Grade: A. Wide receivers: When the Bucs talk about the strength of their receiver group, I find myself nodding along. No one has seen the front side of DeSean Jackson in two weeks. Mike Evans, despite his fumble and a drop, caught 10 passes. O.J. Howard is a matchup nightmare. Grade: A. Running backs: Did the Bucs have any? They were held to a 1.9 yard rushing average, and when it counted, they couldn't manage an inch. Grade: F.
Offensive line: One of the strengths of the Eagles is their deep defensive lines, so a curve might be in order. The line didn't block a lick for the run, which was a problem. But Ryan Fitzpatrick was sacked just twice for nine yards, which is a win. Grade: C.
Defensive line: The Bucs had three sacks against Nick Foles Sunday and controlled the running game. Could the line be coming together? Pay attention. Grade: C.
Linebackers: Have you heard this before? Lavonte David (9) and Kwon Alexander (7) were 1-2 in tackles. David had a fumble recovery and a pass defensed. Grade: B+. Secondary: Nick Foles had a high percentage, but he was forced to dink-and-dunk for most of the day. The secondary played well despite the absences of Brent Grimes and Vernon Hargreaves. Grade: B+. Special teams: Chandler Catanzaro makes most of his kicks, but he doesn't live in a "most of them" world. Grade: C.
Coach: No one wins Coach of there Year after two weeks. But Dirk Koetter has been impressive. Grade: A. 2. 1-10-25 -- The Eagles had just tied the score at 7-7, but here went Fitzgerald again. He found tight end O.J. Howard, who rambled down the left sideline on another 75-yard catch. 3. 4-4-49 -- Nick Foles is accurate, and tight end Jack Ertz is a star. But on this play, Lavonte David tackled Ertz after a three-yard gain. The Bucs then drove to go ahead 27-7. 4. 2-2-46 -- Kwon Alexander sacked Nick Foles and knocked the ball loose. Carlton Davis recovered. 5. 2-4-4 -- Mike Evans scored the eventual winning points on a four-yard pass from Fitzpatrick. Evans chastised himself for a drop and a fumble, but he did catch 10 passes. 1. 2-16-47 -- O.J. Howard had the catch over the middle, but he bobbled the ball and lost it when hit. Ronald Darby intercepted it. That play lowered Ryan Fitzpatrick's rating by almost 13 points. 2. 1-10-49 -- Mike Evans caught a pass for 16 yards as the Bucs were moving in the fourth quarter. Fighting for extra yardage, however, he fumbled and the Eagles tried to make a comeback. 3. 3-3-36 -- Here's a dumb rule. 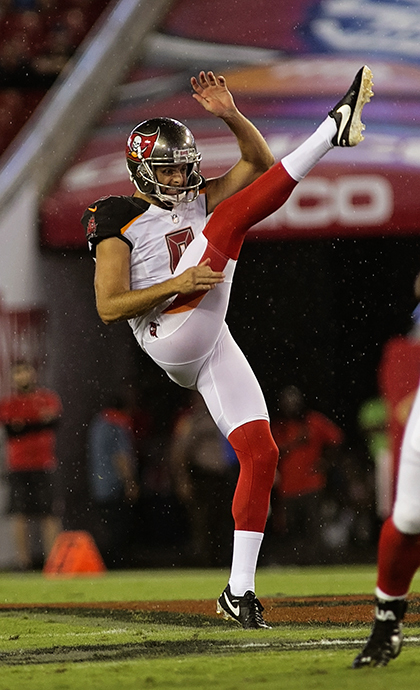 The Bucs were trying to run out the clock when Fitzpatrick completed a 10-yard pass to Evans. However, the Eagles were called for pass interference on the play, which stopped the clock. Even when the Bucs declined the penalty, the clock was stopped, which allowed a last gasp by the Eagles. 4.When have you heard this before? Ahead 13-7, Chandler Catanzaro missed an extra point. That meant the Eagles could have won if they had scored a touchdown and an extra point of their own. 5. 3-10-46 -- Pick whichever running play you wanted. On this one, Jacquizz Rodgers carried for no gain. But Peyton Barber had carried five times for minus one yard on the series. This was the game that must have persuaded the Chicago Bears to write Mike Glennon a big check. After all, it was the last game Glennon ever won for the Bucs. But for a day, Glennon was impressive. He threw for 302 yards, including 245 in the second half. He also threw a five-yard touchdown pass with seven seconds to play to lead the Bucs to an unlikely 27-24 victory. How rare was the upset? The Bucs would win two games all year. The Steelers would win 11. For a day, however, the Bucs won. Glennon hit 21 of 42 passes and beat Ben Roethlisberger, who threw for 314 yards and three touchdowns. Louis Murphy, just re-signed by Tampa Bay, caught six passes for 99 yards. It was Tampa Bay's bright spot of the season. The Steelers would lose only three more regular season games before losing to Baltimore in the playoffs. Something drastic needs to be done to fix the run game! Sorry…..no suggestions from me on this one. I thought VitaVea was your guy for that! LOL!